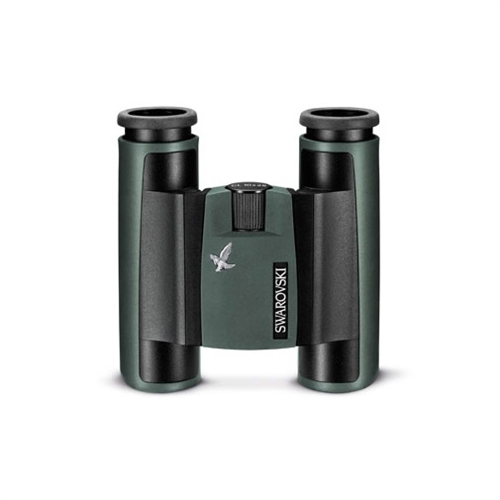 If you're looking for a perfect, reliable binocular companion for any situation whether it be for hunting or leisure, the CL Pocket is the ideal scope for you. Versatile, compact, and comfortable, the CL Pocket from Swarovski Optik will meet virtually any need a hunter or sight seer might encounter. Through Swarovksi's incredible optics, users will enjoy the thrill of seeing details that have remained impossible until now. Its compact design ensures consistent viewing comfort. Swarovski Optik aims to bring people closer to the world that has not yet been discovered. Experience the beauty that you couldn't have before with Swarovski. Field of View: 294' @ 100 yds.